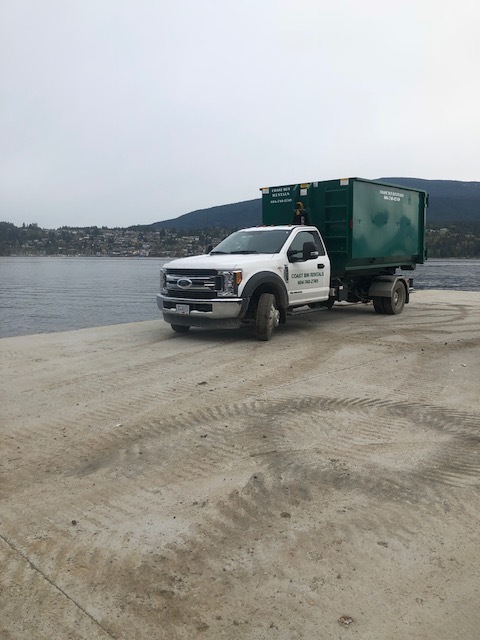 Locally owned and operated, Coast Bin Rentals offers bin rental throughout Gibsons and the Sunshine Coast area to help you keep our community beautiful. Whether you are renovating, rebuilding or doing large scale cleaning, we have the bins you need to get rid of your unwanted materials. Call Coast Bin Rentals for a quote today. What size of bin do you require? Please give us a rough idea of when you will need the bin and we will respond shortly. Coast Bin Rentals has bins ranging in size from 8-20yards (8,12,16 and 20 yard) can drop a bin off and let you call us when it is full, or you can choose to let us load the bin for you at a reasonable rate. We recycle as much of the rubbish as possible. Thanks for your interest in Coast Bin Rentals! *bin delivery on Sat & Sun by prior arrangement only. Coast Bin Rentals accept cheque, cash and e-transfer.